Veuillez ne pas entrer votre carte de crédit avant que nous acceptions votre demande. Nous ne faisons pas de publicité sur Craigslist. RÉNOVATION TOTALE TERMINÉE Décembre 2017. Nous avons NEW AIR CENTRAL et NEW WASHER & DRYER dans l'unité, GRATUIT LONGUE DISTANCE à U. S. et CANADA plus barbecue sur la terrasse, parce que nous avons isolé tous les murs extérieurs, nous sommes autorisés à installer une télévision dans chaque chambre et à éliminer tout bruit provenant des couloirs du bâtiment en bois. Nos meubles de patio confortables permettent une vie confortable à l'Île. Tous les lits et les appareils sont neufs! We really enjoyed the quality of the condo and the proximity to such a pristine and not overly packed beach. Cindy was extremely responsive to any inquiries that I made. I noticed one of the blinds strings was broken, which was no real concern just wanted to let them know. Cindy had someone there the next day to replace the faulty part. Beautiful condo with everything you will need for your vacation. Top of the line appliance’s, countertops, comfortable beds, fantastic A/C unit. You would be unable to be pleased not to truly enjoy this condo. Quality, location to one of the best beaches and I mean steps away. Thank you for allowing us to rent your unit. Thank you Gene, we appreciate your kind words! Our condo was clean, comfortable, and relaxing. We had the amenities we needed and the other guests around us were great. We are very happy you enjoyed our Maui Condo. Our complex seems to always attract fun and courteous guests and appreciate you noting this. 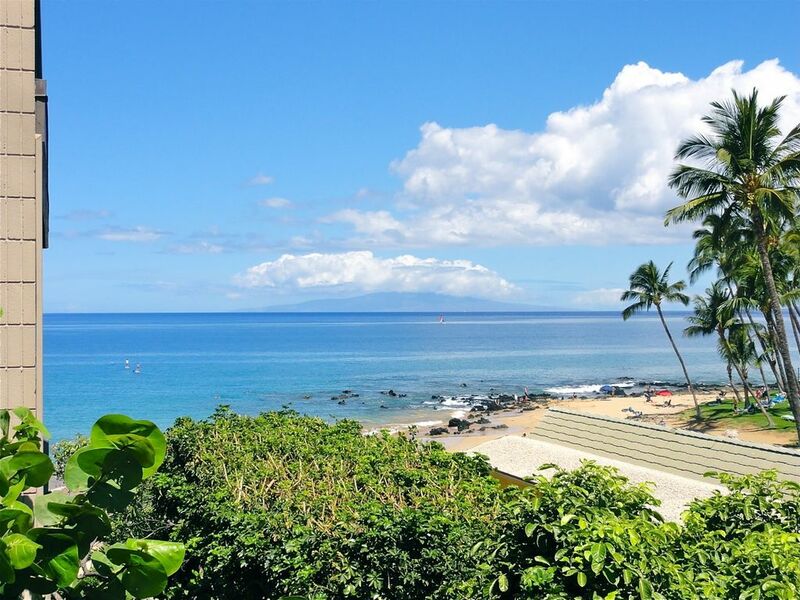 We are please that you enjoyed your Maui vacation in Hale Hui Kai 309. In particular we are happy you noted how hard we try and make each of our guests feel comfortable and informed. We look forward to your next visit ! The view was great. The newly renovated condo is in excellent condition & beautifully done. Easy to walk to parks, restaurants & shopping. Thank you for your kind words Katrina. We are very happy you enjoyed our Maui Home... !! Cindy and John provided a wonderful experience with their updated condo. It felt more like home than a hotel vacation. Comfortable, quiet with wonderful views and access to the beach. I know where we will stay on our next trip to Maui. We are so happy your first stay on Maui was a great experience, especially after having to arrive a day late do to flight issues ! Beautiful remodeled 2 bedroom with ocean view. Very convenient location and friendly hosts. This property is fantastic. We stayed for a week. It is on a beautiful beach with a diving reef; close to golf, shopping, and restaurants. John and Cindy are friendly accessible hosts. Thank you. Thank you for your kind words Darrell ! Cindy and I hope to see you at one of our properties again soon. MARCHER notre belle plage AU WAILEA HÔTEL ET boutiques de Wailea GRAND. No parking fees. Check or credit card accepted .